Hammer Mills are fabricated as per the latest technology to provide optimum performance. These are mostly used in various industries, saw mills, milling grain and other sectors to grind hard dry material to get superior grade fine powder and mix with any material for further processing. These hammer mills are well-known for the qualitative features of robust construction and high output with low power consumption. We manufacture these hammer mills using premium quality raw material to make them durable, load resistant, and ideal for hard, tough, or abrasive material. These Roller Mills are easy to operate and requires less maintenance. Due to their accuracy and high quality they are widely used for grinding of ointments, paints, inks and other similar products. We supply these products at affordable price range. They are made using supreme quality material and advanced techniques to meet the requirements of our clients. These are widely appreciated in the industry for its unique attributes such as durability, quality and optimum performance. A wide range of Steel Hammer Mills are supplied using high quality steel. 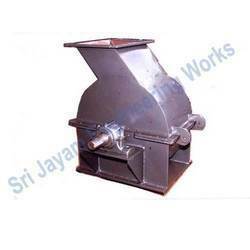 They are largely used in various industries to crush the material into fine particles. 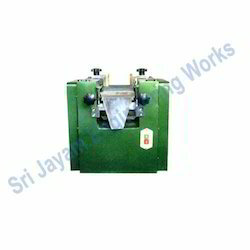 These machines are simple to operate and are in high demand due to robust construction and outstanding performance. They are offered at most competitive prices. These steel hammer mills are appreciated for their dust free operation, low maintenance and low power consumption. Looking for Hammer Mills ?